South Adelaide kicked off their 2017 Trial Game series with a come-from-behind victory over North Adelaide, topping the visiting Roosters by 11 points at Hickinbotham Oval. A sluggish start saw the Panthers unable to apply much scoreboard pressure to the Roosters and trailing by 23 points at the final break. However, things began to click for Garry Hocking's men in the final term as they blitzed North Adelaide 6.5 to 1.1 to run out 11-point victors. Dual 2016 Knuckey Cup winners Brede Seccull (31 disposals, six tackles and five clearances) and Joel Cross (23 touches) were immense through the middle of the ground, as was the ever-improving Nic Schwarz, who finished with 23 possessions and a game-high seven tackles. Matt Rose was at his ball-winning best across the backlines, collecting 27 touches and clunking six marks, while Alex Cailotto was also impressive with his intercept marking in the back half of the ground. The Panthers final tune up before Round One comes this weekend against Woodville-West Torrens at Woodville Oval, with League action getting underway from 2:10pm, Reserves 11:25am. 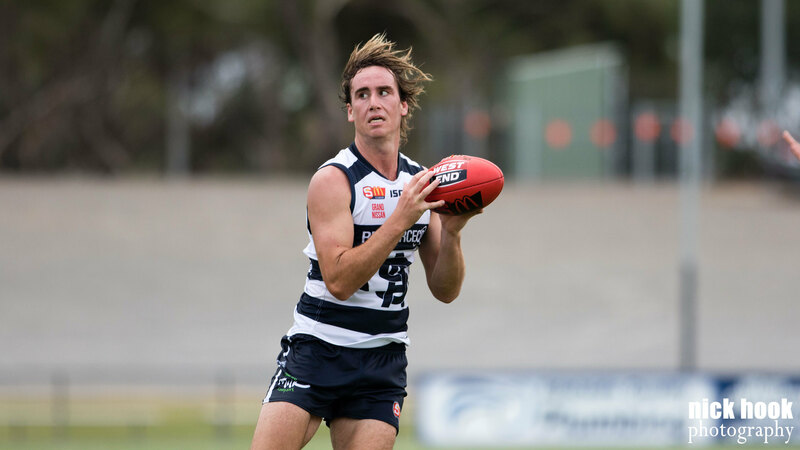 In their first Trial Game of the season, South Adelaide's youthful Reserves were unable to match it with an experienced North Adelaide outfit, falling by 96 points at Hickinbotham Oval. Fielding a young, developing group, with many of the team playing their first match at senior level, the Panthers ball handling and skill errors proved costly throughout the match as North were able to score heavily off of turnovers. In his first game at senior level, U18s graduate Jesse McKinnon was composed down back and gave a good contest in the ruck. Meanwhile, young onballers Connor Fairlie and Tom Neville worked hard through the middle and on a wing respectively. One of the few experienced heads in the side, Xavier Gotch showed his class with clean touches and composure through the middle and at half-forward, while Nick Mott also showed good signs up forward and in the ruck. Meanwhile, it was also pleasing to see Bryce Damin make a successful return from a knee reconstruction and Matt Rankine showing plenty of pace and confidence around the park.